Protect the heart against diseases. Antioxidants and the “good fat” eradicate the free radicals that are responsible for oxidizing cholesterol. Protect cells from free radicals. Vitamin E, together with the monounsaturated fat, protects cells and fights off free radicals produced during cellular energy production. Help women through menopause. Olives can help reduce the intensity and frequency of hot flashes menopausal women experience. The olive tree is an evergreen. The olive tree was first cultivated in 6000 B.C. Olive trees can live up to 600 years or more. It takes five to eight years before an olive tree will bear its first fruit. There are over 800 million olive trees now planted worldwide. 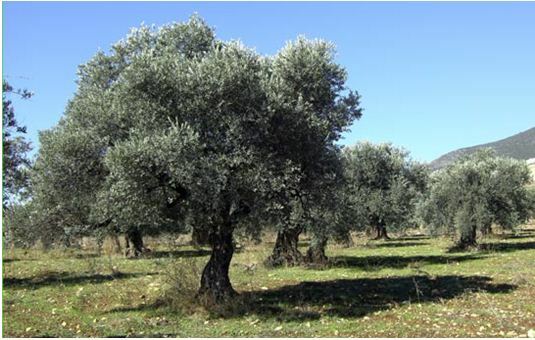 Olive trees are harvested for the first time after fifteen years. “Olive oil is the healthiest substitute for any fat or oil used in any recipe. Olive oil coats the food instead of being absorbed. It also contains anti-oxidants and can be reused many times more than other fats and oils before being discarded. “A tablespoon of olive oil contains 120 calories, 14 grams of fat, and no cholesterol. 77 % of the fat in olive oil is monounsaturated, and 9 % is polyunsaturated fat;14 % is vegetable-derived saturated fat. Virgin olive oils also contain the antioxidants beta-carotene and Vitamin E, as well as the phenolic compounds tyrosol and hydroxytyrosol. According to the Food and Drug Administration, consuming just two tablespoons of olive oil per day may reduce the risk of heart disease. Olive oil can keep even longer than any other oil, if stored in a cool, dark place. Olive oil is the second best-selling type of oil and the fastest-growing segment of fats and oils in the United States. Olive oil is a natural juice which preserves the taste, aroma, vitamins and properties of the olive fruit. It is the only vegetable oil that can be consumed as it is – freshly-pressed from the fruit. Olive oil contains vitamins A, E, D & K and polyphenols which are anti-oxidents. Olive oil reduces LDL cholesterol (the bad one) and raises HDL (the good cholesterol). It is good for hair, nails and skin. It can help heal abrasions. Olive oil delays the onset and reduces the number of UV induced skin cancers. Olive oil promotes the secretion of bile and pancreatic hormones naturally and lowers the incidence of gallstones. There are numerous varieties of olives, and olive oil is the only cooking- and salad oil that offers a variety of natural flavors – no two are alike. Olive oil can keep for two years or more if unopened and stored properly. It takes 7 litres of olives to make 1 litre of olive oil. People who live in the Mediterranean countries have some of the lowest mortality rates in the world from cardiovascular-related diseases. There are many researches showing positive links between Mediterranean diet and olive oil, which is their main source of fat; whereas the people living in Finland and the United States, who consume the highest amounts of saturated fat, have the highest mortality rate in the world. The fact that olives have been mentioned in the Quran so many times proves that it is an important blessing from Allah (سبحانه و تعالى). All parts of the olive tree are used: its bark, its leaves, its fruit, and its oil. 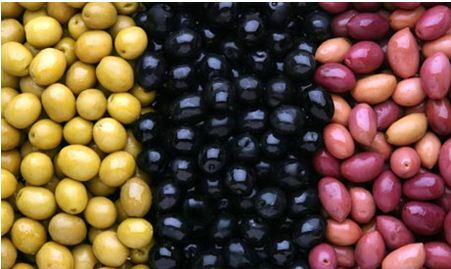 Ibn Qayyim said that olive is hot and wet in the first degree and that the quality of its oil depends on the tree that it is produced from, such that oil from unripe olives are cold and dry, while black olives produce hot and wet oil. 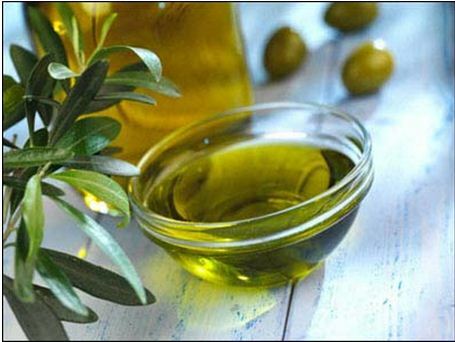 He mentioned that olive oil is useful against poisons, loosens the bowel, ejects worms and strengthens the gums. From amongst the other benefits of this blessed tree he mentioned was that olive oil mixed with salty water is useful against blisters resulting from a fire burn; and the olive leaves are useful against erysipelas (skin disease characterized by infection of the skin and underlying tissue), eczema, sores and urticaria (hives – elevated patches and severe itching caused by allergic reaction). Also, all the types of olive oil soften the skin and slow down the aging process. 1. For build-up of wax in the ear, place 3-4 drops in the ear morning and evening for a few days until the wax softens and can be removed easily. 2. For type-2 diabetes and high blood pressure, boil about twenty dried leaves in 300ml of water, boil for thirty seconds and infuse for ten minutes. Drink three cups a day during meals. 3. 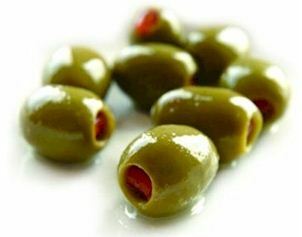 To prevent gallstones, take 50ml of olive oil between meals. 4. To reduce the pain of already-existing gallstones, take 50-150ml of olive oil. * The olive has no known side effects. 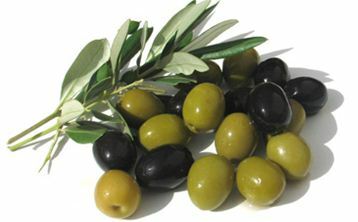 Most of the fatty acids in olives and olive oil are mono-unsaturated. Mono-unsaturated fatty acids do not contain cholesterol. Therefore, olive oil does not raise cholesterol levels but instead keeps them under control. One study, published by The Archives of Internal Medicine, showed that women who consume high levels of mono-unsaturated fat have a lower risk of developing breast cancer. A recent study by doctors at the University of Oxford has shown that olive oil has a protective effect against intestinal cancer. Since the vitamins contained in olive oil have a cell renewing effect, they are also employed in the treatment of the elderly, as well as nourishing and protecting the skin. Olive oil is also rich in vitamin E, which suppresses the free radicals that destroy the cells in our bodies and cause aging. Since it contributes to the natural development of the baby’s brain and nervous system before and after birth, olive oil is the only oil recommended for mothers by experts. As well as containing similar levels of linoleic acid to those of mother’s milk, when olive oil is added to fatless cow’s milk, it becomes as natural a food source as mother’s milk itself. The vitamins E, A, D and K contained in olive oil are particularly important from the point of view of assisting bone development in adults and children, and in strengthening the bones by fixing calcium. According to researchers’ reports, people who consume large quantities of olive oil and cooked vegetables can have a reduced risk of rheumatic arthritis, a chronic inflammatory disease of the joints. Olives are thus a blessing which Allah (سبحانه و تعالى) has granted us and which we should make use of by adding it to our daily diet. Some Interesting Things About Olives. What is “Extra Virgin” Olive Oil? This entry was posted in Signs in the Universe and tagged Benefits of Olives, Olives, Olives from Sunnah, reflection, signs, Surah An-Nahl, Uses of Olives. Bookmark the permalink.